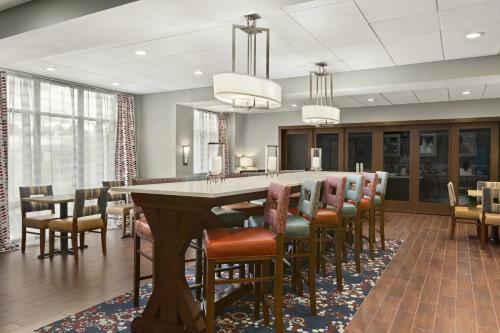 Set in Penn Yan, 33 km from Waterloo, Hampton Inn Penn Yan, NY features a fitness centre and indoor pool. Hampton Inn Penn Yan, NY features free WiFi . You will find a gift shop at the property. Geneva is 25 km from Hampton Inn Penn Yan, NY, while Watkins Glen is 34 km away. The nearest airport is Greater Rochester International Airport, 72 km from Hampton Inn Penn Yan, NY. the hotel Hampton Inn Penn Yan, NY so we can give you detailed rates for the rooms in the desired period.